Experience the power of Moroccanoil, a revolutionary styling, finishing and conditioning product and get 25% extra free! 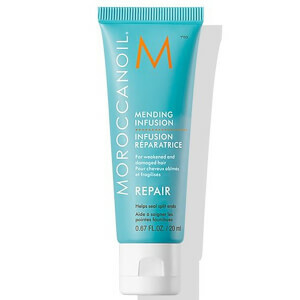 Instantly absorbing, Moroccanoil Oil Treatment helps eliminate frizz, easily detangles your locks and provides long term conditioning. A wondrous multi-tasker, Moroccanoil Oil Treatment helps to soften thick and unmanageable hair, helps build flexible strength, restores the shine and softness to once dull, lifeless looking hair and even protects against environmental damage. If your hair’s been damaged by colouring and styling or you have hair extensions, this product is for you. The unique quality of instant absorption allows it to impart instant shine without leaving an oily residue. This is terrible. The ingredient list is primarily artificial fragrance and silicone. Whilst silicone makes hair feel nice, it’s a band aid for hair. Over time silicone builds up to the point that shampoo alone can’t remove it. It prevent moisture from penetrating the hair, that our conditioner will be trying to do. Explains why my hair is dry, snapping mess! Buy 100% argan oil, not this marketing garbage. Only 6% argan oil, 6th ingredient down the list. When I first used this product I was amazed my hair was so shiny and soft. After using it for 18 month my hair had become so dry and brittle like never before. Once I cut this product out along with other products containing silicones my hair felt a million times better. I’d say this is a good product if you’re going to an event or an occasion and want that sleek look. But long term use after every wash will in fact leave hair dry and brittle. It does nothing to actually moisturise hair it simply patches it with silicones. Over a long period of time with regular use, those silicones become a barrier and prevent moisture from penetrating the hair, hair dries up and dies, like a plant without water. That’s my opinion and I wouldn’t recommend this product for long term use. Smells lovely. However very dissapointed, expecting a miracle maker for some reason. I put off buying it for ages because of the price but decided I would treat myself, feel like it only softens your hair for about ten minutes then it goes back to normal. Been using this for years, it's the best anti frizz ever. This is the best hair oil for tired, bleached hair. After one use my hair was easier to brush and got it shine back.